Degree studies - Dipl. Wirtsch. Ing. (FH). Prof. Hans-Ulrich Sachs began his career in 1978 as a management consultant for UDF GmbH in Stuttgart. In 1980, he became the branch office manager for Deutsche Leasing AG in Stuttgart. Between 1986 and 1989, Prof. Hans-Ulrich Sachs was General Manager of Deutsche Bank AG in Indonesia. 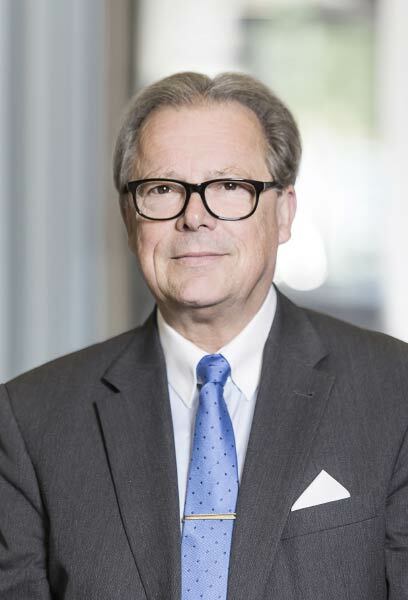 In 1989, Prof. Hans-Ulrich Sachs was appointed to the position of Chairman of the Management Board of SG Holding AG in Stuttgart. Subsequently, he joined the Board of Management for the Volkswagen brand at Volkswagen AG, Wolfsburg. From 2000 to 2003, he was a member of DEKRA AG's Management Board. Prof. Hans-Ulrich Sachs has been a Managing Partner of Hans-Ulrich Sachs GmbH since 2004 and of betec Umformtechnik GmbH in Adelsmannsfelden since 2011. He was awarded an honorary professorship by Esslingen University of Applied Sciences in 1999.